Univar Inc. is working with Elevate and a new Elevate-affiliated law firm to find new ways of doing legal work that it claims will result in 50 percent savings for its $10.5 million legal budget. "Law Land is not special," said Univar's general counsel. Pictured, from left, are Liam Brown of Elevate and Valorem’s Patrick Lamb and Nicole Nehama Auerbach. Jeffrey Carr, general counsel of publicly traded chemical distributor Univar Inc., puts it bluntly. He currently pays about 100 law firms, and that is about 80 too many. This content has been archived. It is available exclusively through our partner LexisNexis®. To view this content, please continue to Lexis Advance®. LexisNexis® is now the exclusive third party online distributor of the broad collection of current and archived versions of ALM's legal news publications. LexisNexis® customers will be able to access and use ALM's content by subscribing to the LexisNexis® services via Lexis Advance®. This includes content from the National Law Journal®, The American Lawyer®, Law Technology News®, The New York Law Journal® and Corporate Counsel®, as well as ALM's other newspapers, directories, legal treatises, published and unpublished court opinions, and other sources of legal information. ALM's content plays a significant role in your work and research, and now through this alliance LexisNexis® will bring you access to an even more comprehensive collection of legal content. "Unrecognized ignorance leads to certainty. 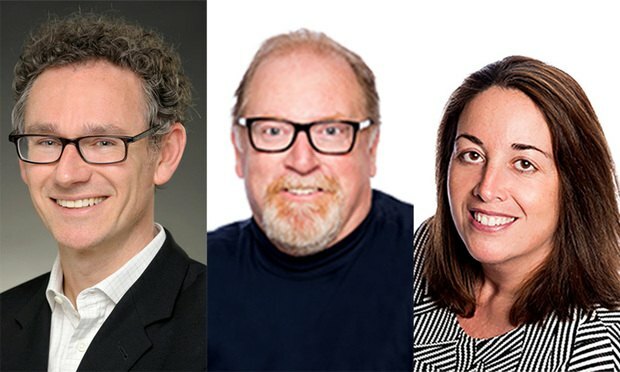 In turn, certainty has propelled countless lawyers and their clients towards unwelcome outcomes w..."
Law schools are looking for ways to bring legal operations training into the classroom, potentially creating a new path for lawyers in Big Law and an opportunity for firms to provide what clients really want. The Boston-based firm boasts that most of its revenue is generated by its younger partners, promising an even rosier future ahead. In its focus on data and innovation, Australia is already proving to be a force on the global stage. Gary Martin Hays & Associates P.C. Where are competitors expanding? What practices are growing or shrinking, and where? Get the latest reports on lateral moves, liftouts, promotions, and more by accessing ALM's Legal Compass. Don't have a subscription? Click to get a free trial. Take insurance litigation to the next level by learning how Legal Analytics can help you better predict the potential cost of a case, what strategy your opponent might employ, and what damages might be expected. Understand the true nature of Artificial Intelligence and how it can benefit your law firm by helping you improve productivity, reduce mountains of data and breeze through eDiscovery with audio and video evidence. Disaster down-time could cost your law firm hundreds of thousands of dollars in revenue. This paper outlines key considerations and best practices to use in devising your disaster recovery plan. With this subscription you will receive unlimited access to high quality, online, on-demand premium content from well-respected faculty in the legal industry. This is perfect for attorneys licensed in multiple jurisdictions or for attorneys that have fulfilled their CLE requirement but need to access resourceful information for their practice areas. Our Team Account subscription service is for legal teams of four or more attorneys. Each attorney is granted unlimited access to high quality, on-demand premium content from well-respected faculty in the legal industry along with administrative access to easily manage CLE for the entire team. Gain access to some of the most knowledgeable and experienced attorneys with our 2 bundle options! Our Compliance bundles are curated by CLE Counselors and include current legal topics and challenges within the industry. Our second option allows you to build your bundle and strategically select the content that pertains to your needs. Both options are priced the same. The annual meeting place for legal IT leaders. Join cybersecurity governance & corporate risk management experts from industries like legal, technology, insurance & consulting. LAW OFFICES OF GARY I. COHEN, P.C. As part of your digital membership, you can sign up for an unlimited number of a wide range of complimentary newsletters. Visit your My Account page to make your selections. Get the timely legal news and critical analysis you cannot afford to miss. Tailored just for you. In your inbox. Every day.